Emilicia STYLE - A Beauty, Fashion, & Lifestyle Blog: How I Went From Blonde to Red in ONE Easy Application! 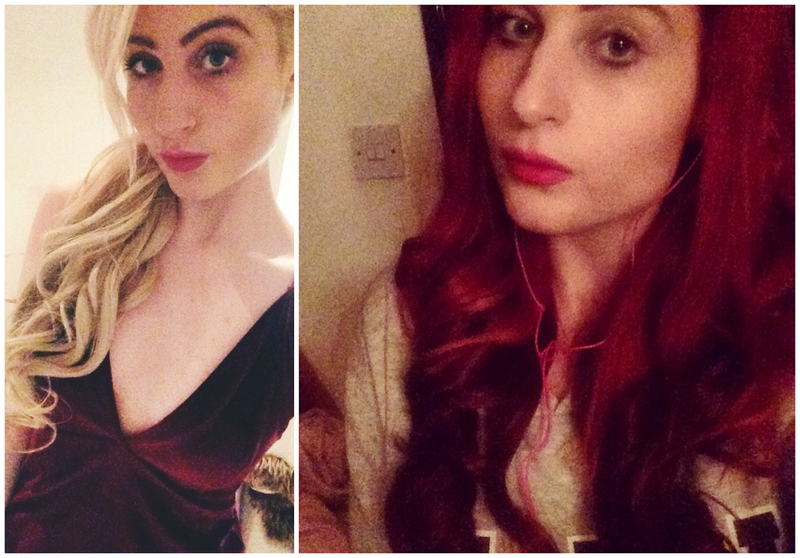 How I Went From Blonde to Red in ONE Easy Application! I've noticed it's been a little while since I last did a post related to my hair, and an even longer time featuring one with a drastic hair style/colour change. 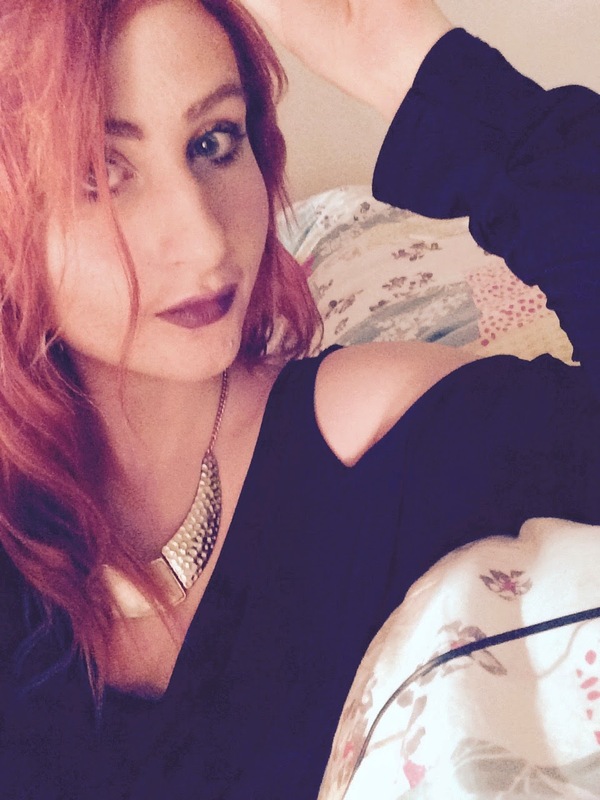 Well today I have some exciting news to share - as you can probably guess by now, I've dyed my hair red! It was a very spontaneous last-minute decision I'd made almost a month ago, now. I was actually a little hungover after a student night out in Preston, just starfishing in bed with Netflix by my side, and I got thinking: I am so bored with my blonde hair. Don't get me wrong, I've enjoyed the life that blonde hair has brought me. I think there is definitely some truth to the statement 'blondes have more fun' and I did get (mostly!) positive attention. However, the root upkeep was starting to become tiresome. My very dark roots started to grow back within just two weeks of dying, but I only had the patience and funds to bleach over them at least once a month. Another thing putting me off re-bleaching my locks was the condition of my hair as a result of all this peroxide abuse. I was very apprenhensive as to which dye to choose from when I browsed down the haircare aisle at Sainsbury's. My biggest concern was that, being bleach blonde already, any attempt to turn my hair red would result in a gingery orange instead! But luckily, I found the perfect dye that worked a treat. 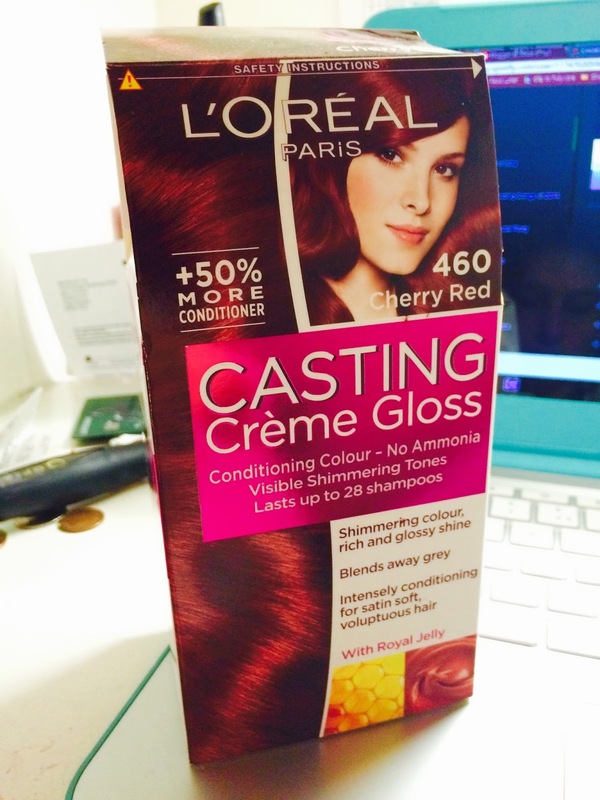 I used two boxes of L'Oreal Casting Creme Gloss in '460 Cherry Red'. This looked ideal for me as I didn't want my hair a bright Rihanna type of red, but a more dark tone. 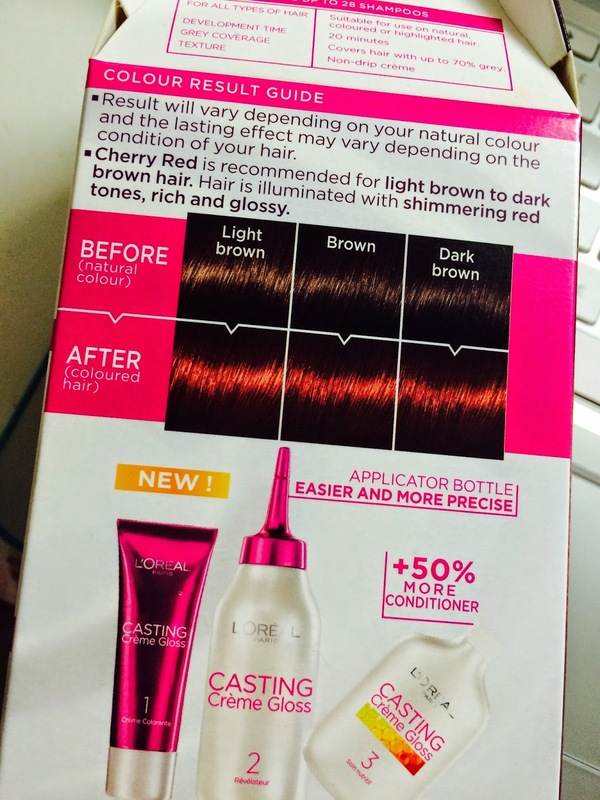 Even though the back of the box showed what the end results would look like on dark brown hair, I was able to achieve the same shade - so I would highly recommend this product for both brunettes and blondes. Ensure that the creme colourant and developer creme are completely blended together then begin applying to the hair. It's best to do this in sections, so begin with the ends then work your way towards the roots. I had to do this dying process by myself this time, so I used a mirror to make sure I hadn't left any blonde patches at the back! If I remember correctly, the developing time takes about 40 minutes, though I could see the colour changing within just a few minutes. I decided to leave mine on just a little longer, though, to be sure I got the deep red I was hoping for. Using the lovely conditioner (which made my hair incredibly soft and not frizzy at all, by the way) rinse the hair until the water runs (somewhat) clear. I say 'somewhat' because I was in for a bit of a surprise when I got in the shower! The bath started to look like something from a crime scene whilst I attempted to wash out the dye, because there was just that much red.. it was quite frightening and I thought I would be in there forever trying to rinse it all out. 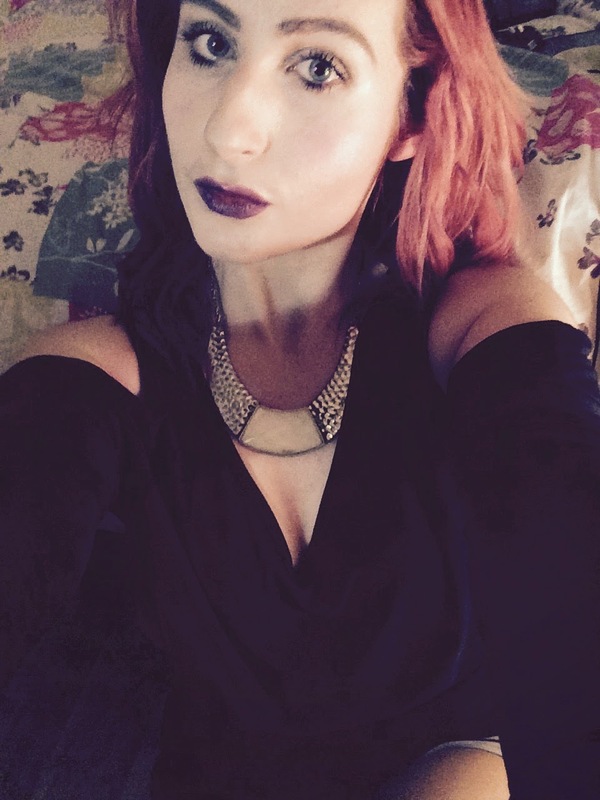 Eventually I accepted defeat and gave up, but thankfully that's normal with red hair. A friend of mine who used to dye her hair this colour had the same issue every time she washed it; it would constantly run out and fade quickly. Luckily I only really need to wash my hair a couple times a week, but even now, I still see the water turning a little pink when I go into the shower. And voila. Super easy, and I managed to achieve such a deep colour of red in just one application! A month later and I'm still loving the red; my roots coming through are barely noticeable since my hair is dark like the red, and I've had lots of compliments on it since. The only downside to this colour is that it really does fade quickly! After about two weeks I was already noticing the colour fading and becoming more of a pinky-red than cherry red. I'm going to dye it again in probably about a week's time just so I can get the original colour back, but other than that, I've no complaints. So there we have it! I hope this was helpful to anyone considering going red and feeling a bit unsure on where to start. All in all I'm enjoying being a redhead and would definitely recommend the hair dye I used. If you have any questions about anything at all, don't hesitate to leave a comment and I will get back to you as soon as I can!